Alaska. The Last Frontier. And, if cruising’s continuing love-fest with region is anything to go by, a bloody good holiday destination. If you’ve been inspired by ITV’s The Cruise and its recent trip to America’s most northerly state to give the region a go, well, you won’t struggle for choice. Royal Caribbean – they of ‘largest cruise ship on the planet’ fame – are upping their deployment to the region with three ships sailing 2020 Alaska itineraries. The return of Ovation of the Seas, the largest cruise ship to sail the Gulf of Alaska, alongside two Radiance-Class ships – Serenade of the Seas and Radiance of the Seas – will mark the cruise line’s biggest presence in the region yet. Ovation of the Seas – the first of their ginormous Quantum Class ships to sail Alaska – will return for its second consecutive season to offer once-in-a-lifetime experiences through the region’s untouched wilds on 7-night itineraries from Seattle, Washington. 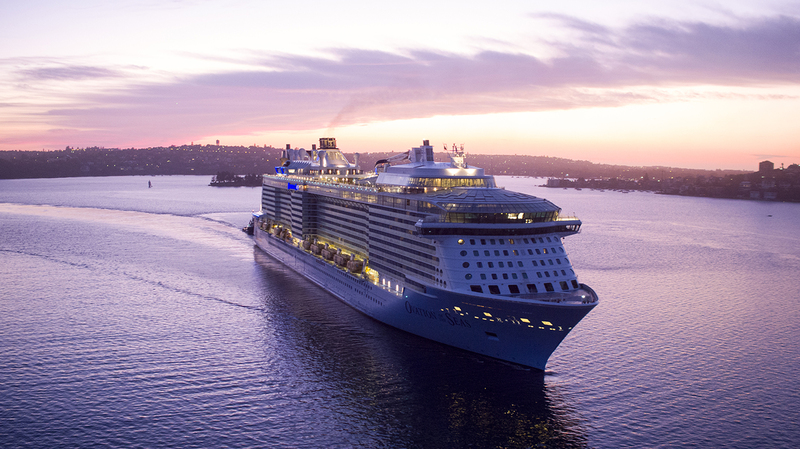 For the first time since 2009, Serenade of the Seas will head west as she repositions from a winter in the sunny Southern Caribbean to Vancouver, British Columbia. Serenade will sail 7-night itineraries through the 500 miles of shoreline that is the Inside Passage, calling on Ketchikan, Juneau and Icy Point, Alaska. And rounding off the deployment is Radiance of the Seas which will once again offer 7-night, jaw-dropping itineraries between Vancouver and Seward, Alaska. A veteran at plying the Gulf of Alaska, Radiance will cruise alternating Southbound Alaska and Northbound Alaska routes, offering guests the opportunity to uncover the myriad of adventures of the Great Land. Itineraries are on sale now – and if you want a family-focused Alaskan adventure then you can’t go wrong with Royal Caribbean.